My name is Evelyn Beale and I feel so blessed to be the Coordinator of Youth Ministry at The Church of St. Luke! I was raised in a small town in Northern California in a loving family of 4 and moved to San Diego to attend college at San Diego State University. I graduated with a bachelor’s degree in Communication in Fall of 2015 and have been working at STL ever since. I have loved being involved with youth ministry since my first Catholic summer camp in 2008. I was a member of the Diocesan Youth Ministry Team for many years and planned and lead retreats for various ages across the Diocese of Santa Rosa. While in high school I also taught Sunday school at my home parish and eventually became their part-time Youth Minister, developing ministry programs for middle and high school aged youth. 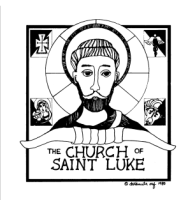 Shortly after moving to San Diego, I began volunteering with the Church of St. Luke’s Confirmation program and retreat team and have thoroughly enjoyed working with so many incredible young people and their families. After graduating from SDSU, I joined our wonderful staff and the rest is history! One of my favorite parts of being a Youth Minister is being able to witness the personal and spiritual growth which takes place in our young people over the years, and of course having buckets of water dumped on my head at VBS. Outside of youth ministry I love hiking, traveling, drinking coffee, and spending time with friends and family. I love meeting new people, feel free to come say hello any time!